Handcrafted using lemons grown in the sunny citrus groves near Murcia, Spain, and limes harvested nearby in south eastern Spain. 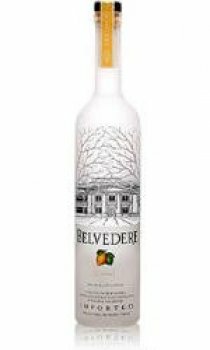 Belvedere Cytrus (pronounced 'sit-troos') expresses the lively character of natural lemon with exotic layers of lime. A single ingredient vodka. Fused with four times distilled Belvedere spirit. Maceration is the artisanal process Belvedere uses to create the world's best super premium flavoured vodka. The process uses only natural ingredients, delicately drawing out the vibrant flavours from fruit peels, flesh and flowers, combined with the finest super premium vodka and technical expertise.